The Life of Pi (in theaters now), based on the 2001 fantasy adventure novel by Yann Martel, tells the story of a young man who survives a shipwreck and becomes stranded in the Pacific Ocean with a menagerie of exotic animals. Among these, he forms an unexpected friendship with a Bengal tiger named Richard Parker. The movie is directed by Ang Lee of Crouching Tiger, Hidden Dragon and Brokeback Mountain fame. 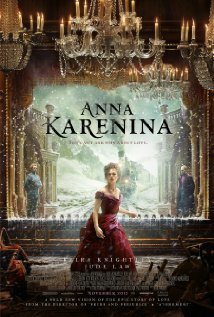 Anna Karenina (now in theatres), based on Leo Tolstoy’s 1877 epic classic, centers around the love affair of the title character, a Russian socialite, with Count Vronsky. I originally read this novel my senior year of high school, and thought the parallel story of the landowner Levin, was the highlight of the book. Currently Anna Karenina holds the #1 position in my personal list of greatest novels of all time. I am kind of curious to see how 900 pages are translated onto a few hours on a movie screen in this screenplay written by the talented playwright Tom Stoppard. The first installment of The Hobbit opens in theaters on December 14. Based on J.R.R. Tolkien’s 1937 young adult fantasy novel, The Hobbit centers around the quests of Bilbo Baggins, and is the prequel to the Lord of the Rings trilogy. Like the film adaptation of the Lord of the Rings, the Hobbit is directed by Peter Jackson. 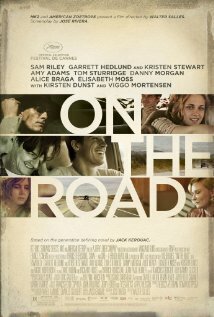 Based on Jack Kerouac’s 1957 novel, the latest film rendition of On the Road opens in theaters on December 21st. The cast includes Sam Riley as Sal Paradise, Garrett Hedlund as Dean Morriarty, and Kristen Stewart as Marylou. Viggo Mortensen and Amy Adams also have minor roles. 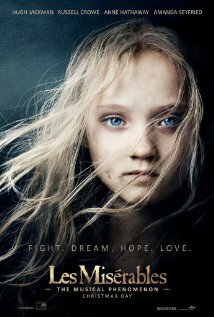 The screen adaptation of the musical Les Misérables opens on Christmas Day. Based on Victor Hugo’s 1862 work of historical fiction, the story centers around ex-convict Jean Valjean and his quest for redemption. This reminds me I’ve been meaning to read this book for quite some time. The movie adaptation has an impressive cast including Hugh Jackman, Russell Crowe, and Anne Hathaway. And to keep you looking forward to 2013, the latest rendition of Stephen King’s Carrie is due out in March, the Great Gatsby opens in May, and Ender’s Game is scheduled for release in November. I better get caught up with that reading list! This entry was posted in Book Challenge, Movie Reviews/Book Reviews and tagged books, film, holidays, movie preview, movies. Bookmark the permalink. This all look so great – I saw Lincoln and it was very good (a bit long), but I felt that it was true to Lincoln’s character. I’m going to see Life of Pi this week, can’t wait! 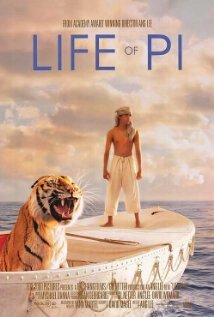 I’m thinking of reading Life of Pi before I see the movie. 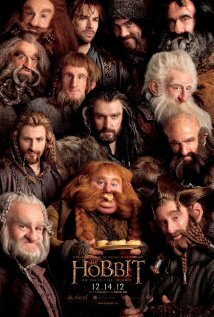 I am just starting The Hobbit, because I think that’s a movie that will be well worth seeing in the theater. I also just put a hold on Les Misérables at the library, and only just realized it’s over 1,200 pages. Yikes!